Hello! 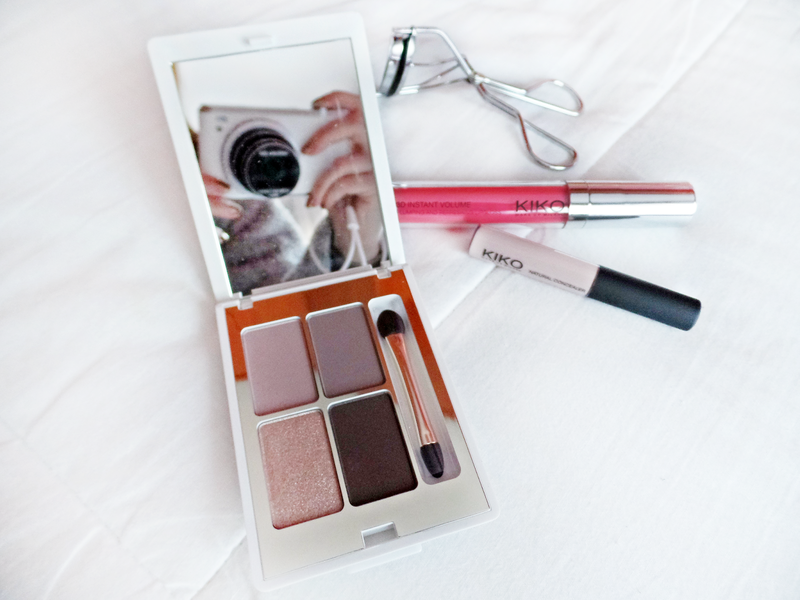 Today I'm coming up with a little beauty haul. 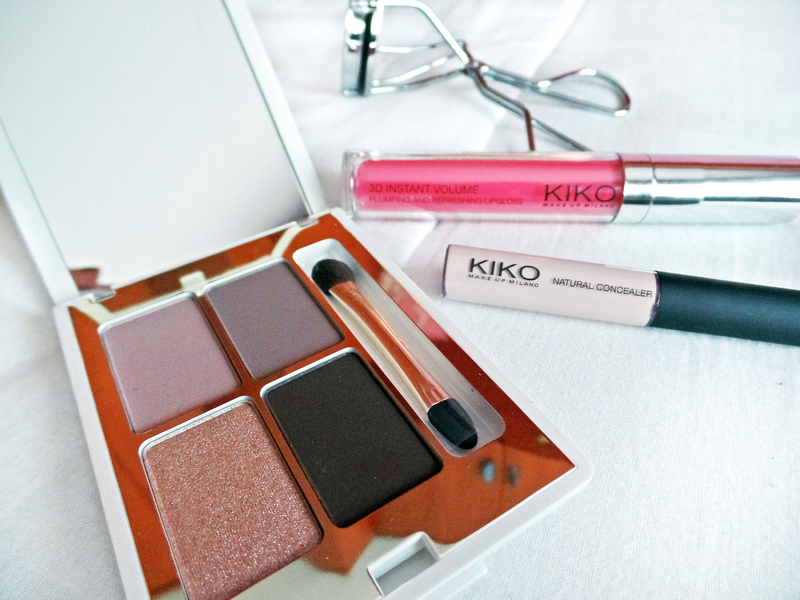 I've recently got a few items from Kiko (which I love) that I'd like to show you. The first one is the Queen Of Hearts Eyeshadow Palette in the shade Elegant Ebony. This palette is amazing guys, it has four shades -two shimmery and two opaque- for wet and dry use. If you use the dry eye applicator you'll get a radiant and blendable effect, and if you use the moistened one, you'll get a more intense color. The shades are highly pigmented. The case comes in a really lovely shape decorated in the style of the collection and a huge internal mirror. The palette also includes a soft sponge applicator. Click here to see more. The next thing that I've got is the 3D Instant Volume Lipgloss in the shade Pink Flamingo (207). 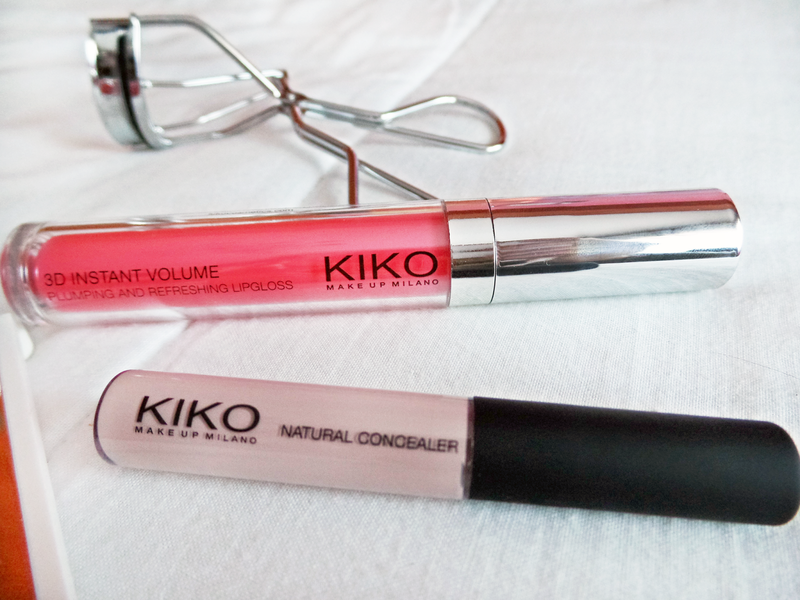 It is a gloss with three-dimensional effect for full and moisturized lips. Other item that I've got is a Natural Concealer in the shade 01 because I'm paler than the snow, so you know. This one gives you full coverage of dark circles and blemishes and it's paraben free. Click here to see more. And the last one is an Eyelash curler because I've lost the one that I had ages ago and I have a really long eyelashes so they look awful without curling. It's a professional steel eyelash curler with a silicon cushion that fits in every eye. It includes a spare cushion in the package. Click here to see more. So that's everything I've got guys, I highly recommend all the products, they work really well on me.